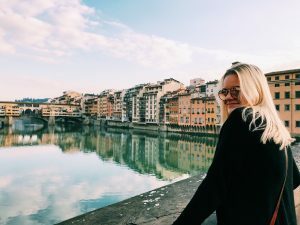 We caught up with SAI Ambassador Hannah, who reminisces on her time abroad from spring 2018. 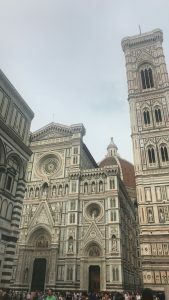 As I am approaching finals week at the University of Mississippi, I can’t help but reflect on my last semester in Florence, Italy. Specifically thinking of the difference between my SEC school, and Florence University of the Arts. My walk to class everyday. Beautiful! I took 12 hours, which is four courses while abroad and I think it was the perfect amount. Honestly, I would forget that I was over there for school, because I was learning just as much outside of the classroom as I was inside. The courses were different over there. All of the classes I took were focused on art and culture, not geology or economics, which I’m in now. One class was a total game changer for me. I enrolled in Florentine Art Walks because it seemed so interesting to take tours of the city once a week. Little did I know that it would become my favorite class. I saw so much of the city that I wouldn’t have been able to see on my own. I learned a lot about the history of Florence while in that class, and to this day, I don’t think I will ever love a class more. Here, in the U.S, we go to class in big lecture halls and sit there while the professor reads off of a PowerPoint. 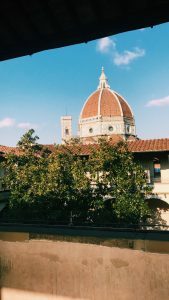 While in Florence, I rarely was in the classroom. I had so much hands-on experience, going to museums and seeing the art in person, rather than just seeing it in a book. Or touring the insides of churches and becoming overwhelmed with their beauty. Or running your own art gallery with your classmates. 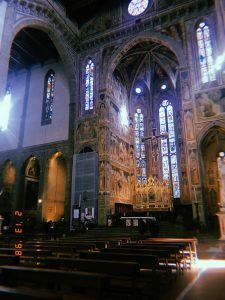 This allowed me to get the full experience while being abroad and I am so thankful for the many opportunities that were given to me while in Florence. It was crazy getting to walk by this everyday! Hannah was an SAI Florence spring 2018 student from the University of Mississippi.